I’ve just returned from Scottsdale, Arizona. It was a lovely trip. I was attending the annual meeting of thepeer-mentor group I belong to. 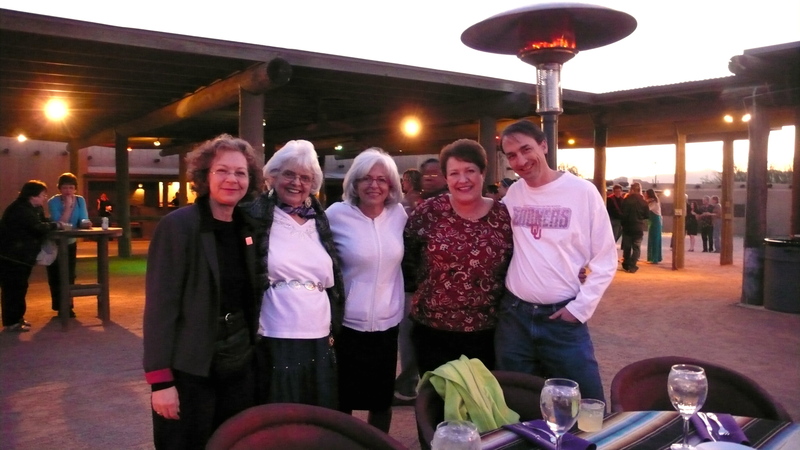 About 80 of us mentors and staff gathered under sunny skies to learn and bond. The programs we deliver as mentors provide some information and education but largely provide inspiration to fellow patients through our own personal stories of struggle and success. Patients learning from patients is a very different kind of education than patients learning from medical professionals. And it’s happening more and more. Patients go online, follow diabetes bloggers and volley what they know back and forth. Patients learning from patients is about a shared bond and experiences. This led me to reflect on an early presentation I gave in Buffalo, New York. It was the first time I was double billed with a diabetes educator. Her talk preceded mine, so I leaned back and listened. What I heard was forty-five minutes of numbers: A1Cs, blood pressures, weight and weight control, exercise, portion control, and carb-counting. While this is all important information, I also heard what she left out. That these goals are not easy. That we have to find a way to fit it all into our day. That a small step in the right direction is to be applauded. That we should pat ourselves on the back for every good effort. The purpose of my talk I quickly saw would be to say what she did not. To talk about how we hold diabetes in our lives and if necessary how holding it differently can help. Taking the stage I shared my own shock and fear upon diagnosis, my subsequent denial, and my early complications from that denial. The room quieted. I was they saw like them. I see the same landscape they see. I tramp through the same darkness trying to figure out half the time what’s going on. I look for solace when diabetes rains down upon me or drains me out. Heads nodded and people leaned forward. They turned from silent witnesses into curious involved participants. Someone had brought humanity back into the room. Someone had understood and acknowledged this piece of living with diabetes where their heart resides, along with their struggle. My predecessor, warm and personable though she was, didn’t have diabetes. That put her not just on the other side of the projector, but on the other side of our experience, where so many healthcare providers sit. We patients, however, are the experts of our diabetes and we are in the daily business of chronic illness. We have life adjustments to make, and since we have precious little help to make them, we are reaching out to each other. not short-change the “living” part. After the program people crowded around to thank me, and they were smiling. Well, if anyone can leave a diabetes meeting with a smile then I figure I’ve done something right. 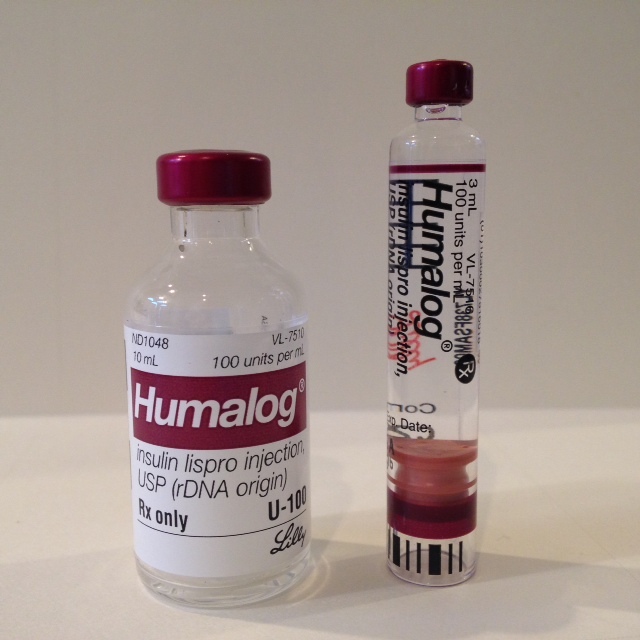 In January Eli Lilly, maker of Humalog rapid-acting insulin, began supplying hospitals with a smaller size vial– 3 ml instead of 5 ml. I got a flier about it because I’m a member of the Association of Diabetes Educators. My curiosity was peaked to know if there’s now a smaller size available for patients? In truth, I don’t use Humalog anymore. I switched to Apidra about a year ago. I find Apidra works a little faster for me and this means I can also use a little less. Of course, since I eat a low-carb diet, I don’t use much mealtime insulin anyway. I use about three units to cover my morning oatmeal (my big carb meal) and then about 1 unit for lunch and 1 for dinner. My carbs in those meals being vegetables and beans. This means at the end of every month, when I have to start a new bottle of rapid-acting insulin, I have to throw the one I’ve been using away – and it’s still 4/5 full. So I called Lilly and asked if a patient could buy the smaller size vial. I was told a patient could ask their pharmacist to check with his or her supplier whether they could get it. Not a wholly satisfying answer, but if you, like me, use very little mealtime insulin, and you use Humalog, you may want to check if you can get less. I’ve just finished a book of stories I learned so much from. Particularly how medical training wipes the humanity out of our health care providers. You may not be surprised, except for how strategic and intentional it is. 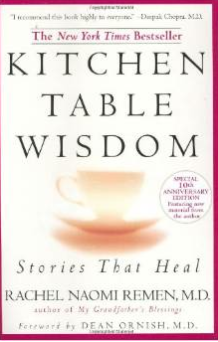 Kitchen Table Wisdom by Rachel Naomi Remen is full of small stories that include her own experiences as a physician for more than 30 years and observations of fellow physicians, and, as a patient suffering with Crohn’s disease since her teenage years. Her stories illustrate how most medical training depletes physicians of their humanity by actually outlawing any show of emotion or authentic aspect of themselves. Physicians are judged weak to by these standards and strong if they share nothing but their medical expertise; no heart, no humanity. Her stories also reflect the courage and grace as patients find their courage to live, and often die, with illness. You cannot come away from these stories without having a new understanding of our medical system. And the healing power of being with patients in a sacred space that does not judge, but allows frailties to just be. You will better understand why most doctors treat us like interchangeable parts and how far we have to go till this changes. Especially treating chronic illness. Today, though, maybe there is a movement afoot. I just read Amy’s post over on DiabetesMine about a new ideal for treating the whole patient with a dedicated team. Perhaps it is happening, somewhere. Perhaps it will happen, someday. In the meantime, pick up a copy of Kitchen Table Wisdom. Your soul will thank you.